Who doesn’t love being their own boss? A majority of real estate agents are classified as independent contractors. This gives Greenville real estate agents and Spartanburg real estate agents the flexibility to set your own hours, goals, and work from home. Real Estate has earning potential. Within the real estate world you are no longer limited to an hourly wage. Your real estate career can take time to build but can become a lucrative business. Like anything else your hard work will pay off if you are willing to put in the time. If you are easily bored with an office job a real estate career could be the perfect for you. Real estate is always changing, adapting new trends, and different markets real estate offers all of that. The versatility in the work environment can be the best thing! Not to mention the people you will meet along the way. With working in real estate you get to enjoy working hard to make a name for yourself. You are able to put all you want into it and have the gratification of doing this for yourself. Greenville Real Estate and Spartanburg Real Estate careers can be quick to grow. If you are looking for a career change real estate is never too late to get into. While becoming an agent is not time consuming, this does not mean it is not challenging. But becoming an agent can give individuals the flexibility they desire while the drive to become successful. Becoming a Greenville real estate agent or a Spartanburg real estate agent means you will be with people during the biggest moments, from buying and selling homes. These people are moving on to the next chapter of their life when they are with you. Even within commercial real estate you can watch a business blossom within the space you helped them find. After you spend time within the real estate field you will notice that you actually know what you are doing. You will be able to advise clients on how to stage, and advice on the real estate market. 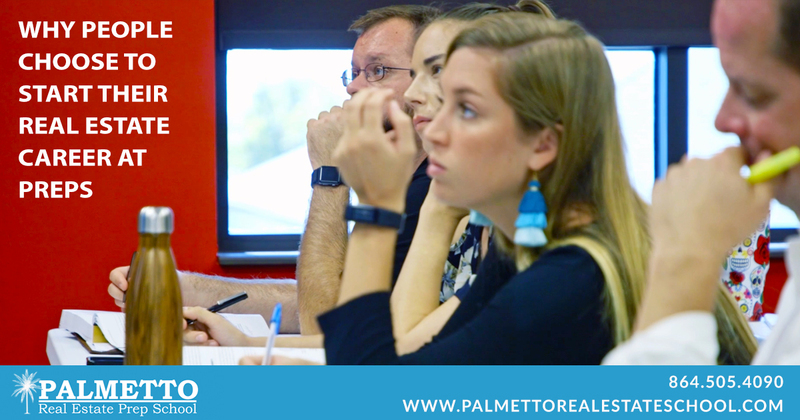 Contact us today to learn more about our Greenville Real Estate classes and Spartanburg Real Estate classes at (864) 505-4090 or register online!